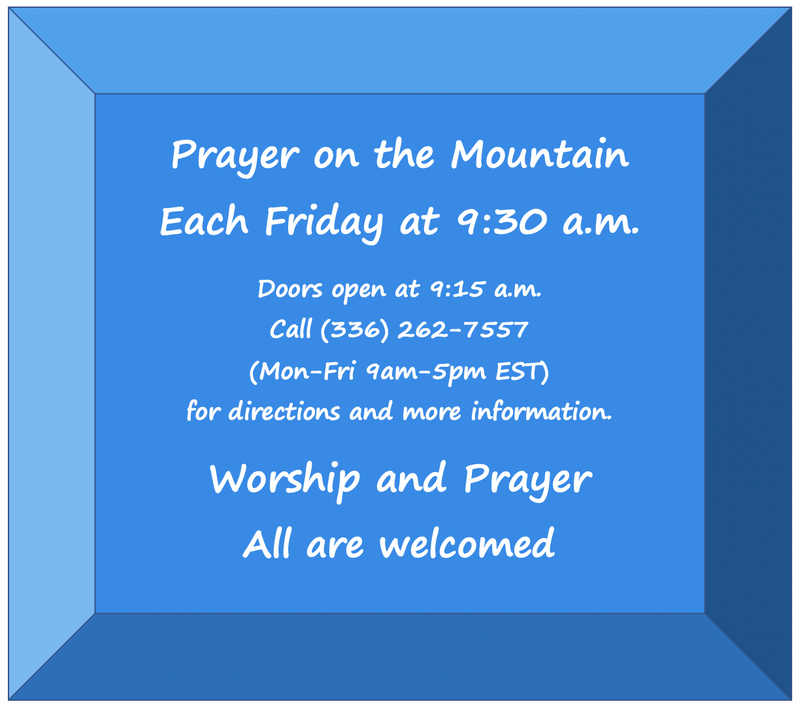 There will be a prayer meeting on Easter Friday, April 19th. So much prophecy is coming forth in these prayer meetings that we are adding them to the website. This will give you some of the amazing prophetic utterances shared in each prayer meeting. We want to take these seriously and also to share them with you, so that we may grow and mature together. So shall your God rejoice over you” (Isaiah 62:5 NKJ). He will rejoice over you with singing” (Zephaniah 3:17 NKJ). He wants you to know that those scriptures validate all three songs, especially “Come dance with me”. I just saw something, I felt like I was supposed to share with you. It has to do with a divine separation. You know when Elijah and Elisha were finally separated, it was really so they could both get a promotion. Elijah went up to Heaven and Elisha went and picked up Elijah’s mantle. There was a divine separation and a double promotion that I am seeing. The Lord, sometimes even people that you are bonded with and you love very much, the Lord has a divine separation and there is something like that going on but it is for promotion, it is so one can go up and another can go up too and pick up another’s mantle. I don’t know what all that means to you but there is something like that going on. Also, I have been holding onto something for a couple of weeks but about three Fridays ago when we were on the way up here, the Lord had me go the other way and I went and parked in front of a lodge (that was not near this property) and faced the front door. I was facing the front of this lodge and I got real emotional and began to thank the Lord for all the specific people that He had brought up here over the years and everything they did. I said to my wife, “I don’t know why we are doing this, but we are supposed to do this right now.” So anyway, we faced the building and I was just thinking about all the different people that the Lord brought there and all the different leaders and people that spoke different things. I just thanked the Lord for all of them. And then God spoke to us the next verse and it says: Solomon sat on the throne of his Father David and His throne was firmly established. And the Lord said, “The time of Solomon has come.” You know the big historical difference is that David wanted with all his heart to build the temple but was not allowed to. David was allowed to gather the plans and the building materials and everything. I believe for us here in this area and for Moravian Falls specifically that the time of David is over. I believe the Lord spoke that to me definitely, but the time of Solomon is here, so the time to build is here. During those years when we were all coming here in the late 1990’s and into the 2000’s. One of the things that drew everybody here was what was called “Heart of David” conferences – it was the heart of David that drew us here. We did “Heart of David” conferences over and over. There were the “Heart of David Songbooks”, it was all about the heart of David and I think that’s a really good thing but I believe the time of Solomon is here and the Lord is going to build His house. So, anyway, that is what I got. Thank You for your word, oh, we are very grateful for it Lord. And we do pray Lord, in the name of Jesus that we who are here will not make the mistakes that Solomon made. That we will not be like that Lord. That we will be according to Your nickname that You gave him. You actually gave Solomon a nickname, You loved him so much. So we pray that we would be just this darling that you give a nickname to and that we will not fail You Lord by being impure or following false Gods or going towards idols or witchcraft, Lord, or any of the dark arts like Solomon did. We ask Lord that that part of the heritage that came from him, that that would be gone, Lord, that you would wipe that away now with the blood of Jesus Christ. We ask that You pour the blood of Jesus Christ over us up here and that we be cleansed. We repent of anything we have done incorrectly. We ask Lord that You fill us with Your Holy Spirit and that You guide us Lord in every single way, that we would not step to the right nor to the left but follow right after You Lord and not seek power and not seek our glory and not seek any of this Lord. We want You to be high and lifted up and for people to see You and for You to minister to Your people. We ask this in Jesus name. All of us should be so encouraged because we live in fabulous times. Oh my gosh, I mean it is tough, isn’t it but oh my, all that is happening, we are just on the cusp of a mighty revival, we are on the cusp of great miracles, great healings and Lord we offer ourselves to begin those healings here. We will take them! We are right on the edge; we just need to pray. At worship practice when we were warming up and we were practicing with our instruments, I felt like I saw these puffy white clouds coming into the room and they were about 18” deep. They were lying on the floor and I told the other musicians that I had to go and lie in them. So, I jumped up and I ran, and laid down on my back on the floor and when I did that, it felt like there was a thick, thick heavy blanket on me. We pray for a baptism of repentance over us individually, beginning in our hearts and then over this nation. I believe that the Lord is saying that this baptism, (praying for the baptism of fire) will shift and purify the minds and the hearts of this nation. It will change things, it will be the answer to these women in these abortion rooms, it will be when they are touched by the fire and the love of God that they are purified. Send the fire, Lord. I enquired of the Lord to understand a word I got that has to do with the worship team being given, by the Lord, four “songs of ascent”. The Lord reminded me of an image from 50 years ago when I was stationed in Hawaii, and back at that time, God was probably priority number 25 on my priority list. I was playing golf with some fellows on a golf course by a runway where big planes landed and took off. They took off all the time, even while we were playing golf, so it was not unusual, however I remember this with great clarity and great detail – this one thing that happened that day. That particular 747 was maxed out with passengers and cargo. It was lumbering but not straining, I remember that. That is the word that I gave our worship leaders – that 747 – the four engines are four more songs of ascent. It is lumbering because it is so maxed out and it is taking longer to actually take off. If it took off in say a mile it would take a mile and a half for it to take off – before it finally lifted up and started to soar. Today we were maxed out and overflowing [there were so many people present that they were sitting on the floor and in the next room] and that to me was a confirmation of the image from 50 years ago. Those 4 engines on those 747 were the four more songs of ascent. I know they have soared before, but this is like nothing that has happened. They are going up in anointing. The Lord expanded to me today that the first song was the plane – the 747 itself. And so, this plane is lumbering to take off and today He gave me why it is lumbering – because I told them that there would be four more songs of ascent and that those four songs were the engines on the plane. Well it turns out that when a plane starts its takeoff, all of the engines are pressed forward to the firewall and then the brakes are released so that the plane can take off. However, this particular 747 – that is not how it is taking off and that is why it is lumbering. They were to have four more songs of ascent, which the worship leaders have now found, and those four songs are the engines coming online one at a time. So, the plane is moving forward without all four engines starting up, that is why it is lumbering, not only is it fully packed but it is not using all four engines, so it is lumbering. As you bring these first four songs of ascent online it will gather speed and start to take off. The sixth song of ascent will be when the nose lifts. The seventh song of ascent will be when the main gear lifts off. The eighth song of ascent will be when the plane breaks gravity, in other words, it overcomes the gravitational force and is now soaring. It is springtime and it is time for the fig trees to blossom and to bloom and for them to produce great fruit. God said, “The season and time of the fig tree having only leaves and no fruit is over.” This is because He has said, “It is done, it is time to cut it down and to bring forth the time of great fruit.” And He says, “Many have been in a season of pruning, and pruning, and pruning.” And some have said, “But Lord, can’t I keep this little branch, see how little it is? It is just a little branch. Can’t I keep it?” And He said, “No, you cannot because you will only produce little fruit on a little branch. It needs to be pruned back so that I can produce great fruit.” This is because it is a season where He desires great fruit and it has been a season of lack of fruit and it is time for the fruit to be produced and multiplied. During worship, I believe it was the second song, when I saw a host of Heaven and they were worshipping with us and then, all of a sudden I began to see them go down, they just began to bow down and I was like, okay, and I’m thinking in my mind, is this in honor to God, what’s going on and why are they just stopping and dropping, boom, boom, boom, and then, all of a sudden, it’s like I could see the Lord coming down a staircase. And the Lord came into this room and He stopped at each and every person that was in this room, and He began to look very deep within us. He began taking an accounting of what is really within us, each one of us. It was very sobering, and as I watched this, I understood. He began saying that we need to begin taking an account of what is within us, because He is, and the days ahead that are coming will show what is within us. It will bring an accounting, even of itself, of what is actually within us, and we need to begin to press in, to clean out, to lay down, to sever all loves of this world and fall deeply in love with Him because the days of accounting are upon us. Even though people may say, “Oh, well we’ve been given a reprieve, we have three years, we have seven years…” There’s much work to be done and there is no time left for us to play games and to stand with one foot in the world and one foot in the “body of Christ” and think that we are going to be able to accomplish the purposes of God. This is a very serious time on this earth, and He has set us here, appointed us here for this time because He put within us what was needed to accomplish His work in this earth and specifically in America and for America’s call to Israel. What we have seen in the body of Christ is affecting the natural realm. So, it has to start with the body of Christ. It has to start with an understanding and the people of God going back and honoring and respecting the laws of God. Father God we are asking that You do in the “body”, in Your “body” in this earth what is needful to be done to bring unity to the “body” to be for one cause and that is the cause of Christ and His purposes in this earth. Father God I ask for an understanding that the blinders and the dullness be removed from the “body of Christ” so they can understand that, You don’t say, if the sinner repents, You say, “If my people who are called by my name humble themselves, and pray and seek my face and turn from their wicked ways, then I will hear from heaven and will forgive their sin and heal their land” (2 Chronicles 7:14 ESV). I was getting the sense that way back in the garden of Eden, when the enemy, the adversary said, “Hath God said?” What he was doing was taking the order that God had created in His creation. In the garden God had put borders around a certain tree. He’s a God of distinction. He’s a God of separating the land from the waters. He’s a God of separating the heavens from the earth. He’s a God of separating male from female. He’s a God of borders and distinctions. The plans of the enemy are coming to naught. The Lord gave me an image. The enemy has balloons that they fill with helium to send against the righteous, but the Lord is tricking them. They think the cylinders have helium in them. He is replacing the helium with argon gas, which is a heavy gas, so that the balloons fall to the ground. Ah the Lord thy God has got a mighty tallit. Yea I blew in here. Yea ye prayed, you wept, and I the Lord thy God, said to the youth that had never voted before, “Come – go”. To the elder that never voted before, “Come – go”. I tell you I’m on the throne. For this nation, is the backer of Israel and this nation shall be for Israel in this battle that I have already written in the prophets. Ye are My end-time body, and I have a tallit, my tallit of an army, an invisible army. But he that has the eye of the vision of God and that dwells in the Heavens can see. A mighty army is over this nation and over Israel. I am using many people such as you, they are gathering in, like pods, a pod here and a pod there. Some are a hundred, some are forty, fifty, twelve. I’m gathering My people in unity and in oneness of one voice lifting up unto Me. Fear not and fret not, for I hear thy cry and it is being answered. Ye are my end time body. There’s only one body that I have bought, it’s a blood covenant body and it belongs to Me. Two thousand years ago I bought this body. I hung on the cross, and I shed my blood for you. You belong to Me. Don’t you know I’m going to send My invisible army to protect you when they want to destroy you? Oh, many are being beheaded even while we speak, while we worship, while we gather, many are losing their lives but is it not written that the martyrs would give themselves and they cry under the altar. Yea remember the word. Every word shall be fulfilled, but hear ye, My people, ye are My end time body. Ye are My end time warriors. You are My end time priests. Hear ye thou Me and I will say to my Father, “Yahweh hear them,” and He hears Me, saith God. Holy, holy, holy is the Lord. Glory is in this gathering. My Spirit is pleased with thee. My peace is upon thee. Be ye at peace with thyself and Me, saith the Lord. Now continue to press forward against the adversary, for he is loosened, and he is raging. Remember, this is the day of miracles, this is the day of miracles of the adversary as well as of My body. Be ye wise and know that which is not of Me. They cannot manifest My love. They can work miracles, but they have no love. You will know them by the spirit of love, saith the Lord. Love dwells here. Holiness dwells here. Purpose to worship and to serve Me here, but yea, in all My body it is the same. And I have many such as you and I’m coming for you. I’m coming to reign with thee for a thousand years, saith the Lord. Get ready, for My kingdom come, My will is being done in such as you, and My kingdom being formed in thee, the kingdom is at hand. The King and I love thee, My priests. You are My priests. In My kingdom there are neither male nor female in the government order. You are my priests; no babies are in the priesthood. You’ve graduated. Some of you are VERY graduated. You’ve got the keys to the kingdom. You know I have five offices and nine gifts. Isn’t that the whole man that was here on the earth? Yea that set the example. Well then that is what I’m feeding you with. Let this mind be in you that is in Me, the Father’s mind that you may see and behold Me. Always I am in thee, and with thee guiding and leading thee in perfection, says the Lord. Come on up here and see as I see, saith God, all is well. Stand up, oh armies of God. Line up, oh armies of God. Rise up oh armies of God. So, thank you God, because you are calling us up to a new level as the church, and we ask You in the name of Jesus, we ask you Holy Spirit, that you may catch the little foxes for us. That You may catch anything that is, stealing away that intensity and relationship with you. And I pray Lord God for all those who are called to pastor and all those who are called to leadership and to serve in leadership in the churches here in the United States, that You will give us, Lord God, not only the fear of the Lord, but the passion to seek You in the secret place, and that we may go higher so that we are able, Lord God to see what is coming and we may be able Lord God to preach the gospel that needs to be preached straight from the word of God, Lord God, uncompromised. Father, take the foxes away, catch the foxes away, and open the eyes of the church, Lord God. Even the eyes of the remnant Lord God, that we may arise and we can seek You and we can see Your Glory Lord God and we can continue to stand on the wall, as watchmen on the wall so we can see the word that You have given to us, to this nation to come forth, in Jesus name. THE EARTH is the Lord’s, and the fullness of it, the world and they who dwell in it. For He has founded it upon the seas and established it upon the currents and the rivers. Who shall go up into the mountain of the Lord? Or who shall stand in His Holy Place? He who has clean hands and a pure heart, who has not lifted himself up to falsehood or to what is false, nor sworn deceitfully. He shall receive blessing from the Lord and righteousness from the God of his salvation. This is the generation [description] of those who seek Him [who inquire of and for Him and of necessity require Him], who seek Your face, [O God of] Jacob. Selah [pause, and think of that]! During the worship, I heard in the spirit a ripping or tearing. Something was rent in the sprit realm. It felt like a deep rend but it was not loud. It seemed large. I thank you Lord that this is an hour when You are raising up the fruit from the root, and are exposing which root every fruit is from. You are bringing it forth so that it may be divided out, so that we can see and know, and all will see the righteous, and all will know because they will see You upon Your people. They will be in awe of the Father’s goodness because “that” is what this hour is about. We thank You Lord, even though it is difficult to watch the fruit divided – and some divided out; but Lord, we thank You that we are in You, in Christ hidden within God. There is something the Lord wants to say, and you know I am speaking it at this time, in this place and it is for you but it is also for the church at large and it is a “heads up”. When Moses was about to enter the Promise Land, he talked to the people and told them certain things. He said, in the latter days, these things, you will do. When the people demanded a king, they chose by their sight and by their heart. We sang a song today, “Be Thou my vision, O Lord of my heart”. They chose by their vision and by their heart. Now I am going to read Deuteronomy 30:19 and then I am going to say a little thing about it. If you will choose by His vision and by His heart, you can have this scripture, both you and your descendants, in this time. Do not choose as man chose – as Israel chose their first king. They chose by their sight and by their heart. Choose “Be Thou my vision” . . . be Thou my heart, and it will be well with you. And this is not just for this group. It is for the church. The number 22 in Hebrew is the culmination of all things. The fourth Friday of February and March were on the 22nd. I noticed it because it was unusual that the Lord had been putting 22 before me but I did not know why. We have a prayer meeting called Fire House. So the fire of God, I just bring that here, I just decree that the fire of God is Your presence Father because around Your holy throne is fire and so I just call forth a release of that here. It is already here; I just call for a full manifestation of it. I thank You Father that You rest here in this place because of faithful ones who love You. I thank you for the fire coming forth right here in this room, in this chapel of Yours because this is a meeting place of Yours. Another building may be built but I decree it comes to pass here, now. I just hear You and I hear Your heart in that and I say it in faith, and I believe You and I bring the fire from the meetings we have been in and release it here, but it is already here. So I am just joining in with what has already been established by the faithful ones here, by Your people, in Jesus name thank You Lord. I believe the Lord wants me to share this. He came to me in a dream as an Eagle and He had bright, bright blue eyes and He said, “You must complete your mission so your daughter can complete hers.” And that goes with His word when He said we have to choose God for us and for our generation. He also said, “When you pray, pray with expectation.” And when you were talking about the chapel I heard in my spirit, “The time is now.” So we are to expect it. We are to know that we know that we know. This morning I had a vision, here in a cabin on Prayer Mountain, in which there was a “city on the hill”, and it was up on the mountain and it was lit up and people in the valley were watching and were viewing what was happening on the mountain. People knew that the city was there but the people in the valley did not necessarily care and it did not have any impact on their lives, per say, but I saw the city there. And then, there was a particular building which . . . I did not realize the story of the cabin here and of the Prayer Chapel . . . and I saw from within the cabin there was a release of the breath of God. And it brought me back to Genesis – the face to face encounter when God breathed into Adam, face to face there – it was that type of a breath of God. And I saw this wind blow down the mountain – it was very heavy and very strong but on the tips of the wind there were actually people that were being carried by the wind. And initially I was like, “I understand like the breath of God swept through the valley but what is going on with this?” you know! evangelism where the people went empowered but it happened on top where the city was, where, now that I understand the story here with the chapel. So, I really believe significantly, this morning in prayer at 5:05 a.m. I heard angels talking in the spirit, but I could not make out what they were saying, I guess I don’t speak that language! I was really trying to, and I have been praying for the seers realm to open more, it has not quite opened all the way yet but I heard them talking and it happened at 5:05 a.m. and I believe that was significant to Isaiah 55:5 which talks about coming to the waters. “Surely you will summon nations you know not, and nations you do not know will come running to you, because of the LORD your God, the Holy One of Israel, for he has endowed you with splendor.” (Isaiah 55:5 NIV). And I really felt that this was a place of the splendor of God. It is interesting because there is a coming to and a sending out. And I really believe that this is symbolic of this city on the hill, which – it was the view on this mountain – but I did not understand that story and now I do. And so I really believe that it is a “now” season. You know that five usually speaks of grace and favor and I really believe that there is a season of favor that is released “now” for this Prayer Chapel and for this “city on the hill”, so I come into agreement with that. While we were praying for the lady to be healed today, I saw a vision of a waterfall coming from Heaven, an open portal that just poured out a waterfall over her head and all around her and it flowed through the room and onto every person here. And I felt the Lord say, “When prayer is made for an individual here, that it doesn’t just affect that individual, but everyone in the room because the Holy Spirit is permeating the room, the water is flowing from the Holy Spirit, the anointing of God is everywhere, His presence, His healing power, so everyone is affected and everyone is changed.” In Jesus name. Thank you, Father for the alignment of all things that are for this season. Lord, Your promises, Your power, Your grace, Your relationship, the relationships that You have, to set things in place, to put things in order, that the things that You have determined for this time, come forth, in Jesus name. Father we ask You to establish the boundaries in Israel; Father, the boundaries that You promised to Abraham, let them be established in this time Lord. Father that the things that have risen up against Your will and Your promises be no more. Father we pray that Your people would come forth in the power of Your grace for their weakness, so that Your strength might be made manifest, in Jesus name. Father, the things that have been declared and established in the spirit realm in this region, let it be done, now, according to what You have determined. Father, we ask You to bring the people from the north, the south, the east and from the west, that have place and part in these things. That they would come bearing gifts, that they would come anointed, that they would come prepared to do their part. Father we pray that You would remove the tares from the wheat in this season, Lord that the chaff would be blown away and rendered no more – without effect or cause, purpose or place, in Jesus name. Father we pray that Your power would come down to establish Your will, that it not be by might nor by power but by Your Spirit. Lord we pray that You would cause Your people to be sensitive to the leading of Your Spirit. Those that have been caught in defiant opposition to Your will and Your word and Your truth Lord, we pray that You would grant them grace and the gift of repentance, that they might repent of those things – that they have even stood in opposition to Your heart and Your will. But Father, if they will not repent, if they choose so to harden their hearts, then Lord let them be removed from dividing Your body, that the unity of Your Spirit would come to Your people in this region, Lord that there would be no more division, and that every wicked thing would be removed, in Jesus name. Father we pray that those who are standing ready, be released and commissioned in this hour, in Jesus name. Lord, the things that they carry in their hearts, even as Mary carried in her heart, let them come forth now according to Your anointing, and Your grace and Your divine timing. We declare the divine timing of release, to that which has been held for many years, even decades, even centuries, even millennia, we thank You that Your eternal purposes shall no longer be held back, in Jesus name. Talking of the third painting (of a Chapel filled with God’s light) in a series on the wall. God has said He wants to come down and personally minister to His children and God’s children need to have the opportunity to see our Heavenly Father, to touch Him, to be ministered to and spoken to directly, right here on earth. And that is what the third picture is about. That is the artist’s interpretation of the Father when He comes down in all His glory within that chapel. We just pray that He helps us prepare, ourselves, and for anything He needs in order to do this. We pray this in Jesus name. I pray we be found faithful Lord, at passing on the torch to the generations that are coming, may they be found faithful at picking up that torch and carrying the light through the world. We thank you and praise you for that. Father we ask, Lord, we do declare that at this day and this hour that You would rip open the heavens and that Your fire would fall among us. That the mountains might quake at Your presence. As fire kindles the brushwood, as fire causes water to boil, to make your name known to your adversaries, that the nations may tremble at Your presence. Father we thank You and we praise You that You desire to do this far more than what it is that we desire from You Lord, do it in us and we confess Father, do the purging – send Your fire. Do the cleansing. I just want to confirm that word, I was already staring at Isaiah 55 in my Bible, right before you began to read it. That was really cool. I have had these intense open visions since I sat down. I was staring out of the window and all of a sudden, the whole wall became like an open window and there was this burnt ember color in the spirit. It would come and go. I asked the Lord and He said, “I have shifted the environment, there is a vortex around this house. I will expedite things in the spirit.” I saw from this place, it was like missiles being lit and sent out to the four corners of the earth. Each one was a promise and each one was a provision. The Lord says that rivers of fire flow through this place and those rivers are covering the mountains of the Lord. God says do not be disturbed but within 90 days to one year says the Lord, you will begin to see a manifestation of the glory of God upon this mountain, that will transcend throughout the earth. And the Lord says, they will come and sit, and they will be kindled, there will be fire, they will be set on fire says God. They will receive such wisdom and revelation, they will say, “Thank you,” and you will not see them again, but God says this is the place that they will receive the living waters. Hallelujah. I see this intense angel standing above us. It is as tall as the ceiling and when we began to pray the first prayer, he brought his sword out. It is really important for us to pray for Kim Jong-un and for North Korea for grace and it is for the benefit of our country too. I felt like God said it was like Esther, she was safe in the palace but what she was interceding about, Mordecai told her, it was for her and her family too. We really need to pray for him, for godly counsel of the wise and the just to be spoken to him. Even for him to have an encounter with the Lord. For freedom and the blessing to hear God clearly. For the blessing of the knowledge of Jesus Christ for him. A river of love will flow from here to the nations. From the time I came here, and I sat down, we talked about the glory falling on Mount Carmen, I have seen the fire of God fall on this place. When the lady prayed in Korean – that is the nations of God coming together for His fire and He is sending out His glory, on each one of the nations. I saw the Lord as a dance instructor. Let us be a bride that will just follow Him in this dance. Lord let us have the heart and that mind to do that. You build what You want here. We sang, “Our God reigns,” in a song today. Depending on how you spell it and the context, there are three types of rains. There is rain that falls from the clouds to the earth, there is a king reigning and then there are the reins of a horse. This is what the Lord is saying to this group and it is conditional. He says that if you hand Him the reins to your heart and take your hands off, you will enter His rest and His grace and His peace. I saw two angels pulling a blanket back and light coming through to Washington. Father we pray and ask that as you give spiritual fathers their territories, their place of influence. Let us as spiritual fathers take the position with boldness before Your throne of grace, so that the mercies that are new every morning, that power of Your mercy will so settle on these fathers that know the revelation of You as a Father and be released with much clarity. That You would grant us, as spiritual fathers how to communicate, with Your unfailing love. Solomon 2:14 “O my dove, that art in the clefts of the rock, in the secret places of the stairs,” (KJV). In the ascent, the Lord is there in the stairs. Remember Exodus 24 when God called Moses to the top of the mountain, but they stopped part of the way up and the Lord appeared, and they had an experience with the Lord? You see, the Lord calls us up and that is the important thing – we are going up to the top of the mountain with Him, but every step along the way, He reveals Himself and that is what He did this morning. It was like we got to a first step and of course Wayne said there are four more and I believe that, but every step, the Lord reveals Himself in the ascent as we are ascending. A few months ago I gave the worship leaders a word that the Lord had given them songs but not for that time and then I said, enquire of the Lord, when would be the right time and today was the right time. Yesterday my wife and I met with some friends and we had fellowship and this morning he texted me and, in the text, I guess the word is emojis – he sent five flames of fire. Today was the first fire, that was the song of ascents. We are going to have four more and then it is going to take off. The chapel is going to get built. We sang a song of ascent. You don’t sing songs of ascent unless you are going up to some place. The songs of ascent were going to the temple. Now I am not calling the Chapel a temple, but I am going to say that it is the Lord’s house and that was the first song of ascent. Four more and then it is going to take off. When we started to pray my chest just started to be on fire. So, there is (spiritual) fire all over me, even as we speak. But to confirm what Wayne says, because one of the things that I have been hearing in the past couple of weeks before coming up here is we are ascending the mountain, both in the natural and the supernatural, we are ascending. We are gathered in an upper room. There will be a mighty rushing wind, it goes with the fire. Battered and bruised are the people of God, battered and bruised and crushed we have been, but God is pouring out fresh oil upon all of you. He has seen the brokenness, He has seen the abandonment, the betrayal, and you say, “Where did I miss the mark?” And He is saying, “You didn’t miss the mark. I have been there with you all through this. It is just the process; you are being crushed.” Out of great pressure comes great diamonds and there are mantles of diamonds that are descending from Heaven. Two weeks before I got here, I saw them and I said, “What is that about, Lord?” Recently, I walked into my guest bedroom and I stepped on something sharp. I swiped my heel and it was a diamond – it was a confirmation of what I was seeing about these mantles of diamonds falling, just to encourage you. I have seen miracles but out of great pressure, comes diamonds. Many of us have been through great pressure and these mantles are falling upon us and it is giving us new authority. New grace to hold our heads up high, not to be crumbled any more, not to be looked over. Step into it, step into what He has called us to be and do; it is great and mighty. The wells are bubbling. It is not going to be like we have seen it, it is very different. Don’t get stuck on the manifestations, keep your eyes on Jesus. It is going to turn things topsy turvy. When we were worshipping and our voices were lifted up, I felt like the Lord was saying to me that everyone, in your worship, your voice is like a trumpet. Lift your voice to the Lord, lift it up. I felt like there was this swell of voices, sounding to God, that He loved to hear. It was a very powerful thing that your voice is like a trumpet raising up to God when you worship and when you pray. What I was hearing so clearly, it was like the Lord was saying, “I am removing obstacles. I am tearing down high places.” He said, “I am threshing the mountains and beating them small.” Then He said this, He said, “I am laying claim to what belongs to Me.” This was here in worship and I sensed this was for us as a people but also for the land here. My prayer in that was, Lord, You take what is rightfully Yours, You take Your place. This was a waring thing with Him, it was not like Him coming as a Lamb, it was Him coming as a Warrior. I think the trumpets, you know the trumpets at times when they were blown, it was the sound of war. What the Lord is saying is that now is the time – He is laying claim to what belongs to Him – that is us. My prayer is, fully possess us. There is a really special anointing here today. There is a power for corporate things to manifest but there is also something really sensitive and personal. One of the first things I saw in worship, were angels with these beautiful silver-like ribbons, just dancing and they were celebrating and that was specific to the writing ministry that you do encouraging people and the hope that you pour out. With that, the Lord started talking to me about the chaff and there have been so many words about the fire and He was talking to me about the consuming fire of His love that will devour the chaff in every place in our lives where we chaff. As those mantles come – because they are weighty – the chaff can cause their introduction to feel like warfare. So, there are places within us and also within the region where there is chaff that exists which might feel sharp. This sharpness might cause us to resist. But as we press “in” during this time of preparation (that is for the things that are coming), we can be free of all that is causing us to resist for it is the consuming fire of His love that is coming and will do away with all that will hinder us being able to bear the weight. Amen Lord, we praise You that as we gather, You draw us into the fires of Your love, Lord, and it starts to consume everything that is not of You and that we shall be prepared – so that we will be ready to receive what You are pouring out. Lord we would know, as we go forward in You, that we will not buckle; but we will rejoice (as it is the manifestation of so many prayers through the generations). I saw a vision of a white flower and Jesus’ hand dripping blood onto the flower – covering it. Interpretation: White = Pure. Jesus covering the flower with His blood meaning – He intends to KEEP the flower pure – washed in His blood. The flower is the group that He is calling to be part (big or small) of the building of the Father’s House. This group will not be large in number. They will be in unity: Psalm 133 and Psalm 18:3. For I say to you, I have drawn you deep within my heart of love and I have drawn you into this place for this moment and this time for you are My legislative body and you are my bride and you have been awakened unto My love. And you have been awakened unto the destiny of that which I have called forth of my church. And I say to you that you will be activated, even this day because I have called you to soar. I have called you to come up and over and yonder. I have called you to be fully awake, fully awake to the lover of your soul. Fully awake unto that which is indeed the mandate of Heaven to Earth. For I say unto you there is a shifting, a changing and a resetting. I am resetting even you who have come into this place. For I truly have hidden you in the cleft of my rock, but I say to you I am now calling you forth to soar from the cleft of the rock. I have called you a generation, I have called you an Abraham, an Isaac and a Jacob generation. I have called you to be one in Me and one with one another. I have called you to see, I have called you to hear, I have called you to speak, I have called you to write and I have called you to be the expression of My goodness. You are My light, you are My fire, you are My rainbow of Heaven. For my eyes are on this nation and my eyes are on the remnant. The Lord gave me a vision about three weeks ago, I live in New Mexico and it has to do with the now. I was praying with a friend called Joyce and I saw the vision a couple of times and He said, “Tell Joyce what you are seeing.” I told her, I saw myself swallow a golden nugget and it dropped into living water in my belly and it was boiling living water. I opened it up, like a fortune cookie and it was blank. As we began to pray, Joyce heard, “Moravian Falls,” and instantly it was written on the little piece of paper in my vision. I began to pray about it and I saw two different numbers, one was 222 which is today. The other was 922 which is the birthing, as 9 is the birthing of a new thing and yet it is the living word of God, it is His light, it is His love, it is all that He is. The ingathering begins at Moravian Falls – the gathering of His people here. The only assignment I was given, was 222 – sometimes when He sends me out, He only gives me a little. There is something in 222, it is a very significant number to me, I have felt that for years, what is this, what is this 222? I just want to bear witness that this morning, as I wrote the date and noticed that it was 2:22 (February 22nd), I thought, wow, God is releasing something today. Double portion on a triple level, yes Lord, we receive it. The remnant of His people, who will remain. How long are we going to be “becoming”? Until you believe it is here, you are going to keep on becoming what you already are. I kept hearing, “It is time to begin to speak,” and this is not name it and claim it, it is rhema and you people are full of rhema. As the Holy Spirit leads, speak it as if it is done. The Kingdom is already here, He is just waking us up, because the King is already here. I saw a vision of ancient blue suitcases in this place, already here. They had something to do with Bob Jones. The Lord had me pick one up and put it in my belly. God has imparted, it is the word, it is the ancient faith word of who He is, that He wants to become substance today in us. Each one of you has a suitcase, I knew that. So, I thank You for this, all over the globe and it is taking place right now, thank you for the fire of Your glory that is being released from this little room right now, into our nation and it will devour everything in people and in the land and the systems that are existing of Babylon, it will devour everything that is not of You, Lord. We have a train here (pointing to an iron train that releases steam when heated on a wood stove). “Old Promises” is bringing the promises on 2.22, praise God. February 22nd on the calendar. Be sure to pick up your blue suitcases when you go. During Worship I closed my eyes and saw angels in a line dancing slowly. On New Year’s Eve I quietly prayed and one thing after another, the Lord went after mixture in me. I believe that if I have a word for 2019, it is that the Lord is going after mixture – He wants us to go after the mixture with the same zeal He has. Jesus had the zeal of the Father when He cleansed the Father’s house. I believe He really wants to go after the mixture in us. The consequences of this will be eternal. Talk about submitting to something that pleases the Father. If I could, I would just encourage everybody to test what I am saying. If we want the pure spiritual word, we don’t want to live in a soulish realm or a worldly realm. I believe there is a real simple thing that would help us to go after mixture in our lives. If you don’t practice this, I am just asking you to test it. If you will make a practice of going before God with absolutely no agenda of your own or problems of your own, and just saying, “I am here for you. I am here because I am Yours.” Then wait on Him in that posture and stay there. In Exodus 24 God said come up to Me and be there and then I will show you this, that and the other, but He said come up to Me at the top. Moses sat for 6 days without saying a word and then the Lord spoke. I just think there is a real protocol, a heavenly protocol for living a spiritual life. Just test what I am saying, just see the remarkable fellowship and communion you can have before the Lord if you go before Him without an agenda. Be prepared to stay there and let Him know He is the focus and He is the reason you are here and see what happens in your life. The church in the United States and Israel will not get what we deserve – we are getting Your great grace Lord. For Your glory, so You can have the desire of Your heart, Lord, so You can have what You want. You have “trumped” the enemy . . . he has claimed us because of our idolatry, because of the way we have turned to ourselves and away from You. Thank You for turning our hearts towards You. Apart from You we can do nothing, we ask for great grace. Lord help us to put our house in order, we are here for You. Thank You, Lord, for great grace, the connection to the vine. Move on Your people to turn to You with all of our hearts, away from the world, away from ourselves, from ministry preoccupations and other religious preoccupations. All the rain we have been getting lately I feel is a prophetic sign of a coming move of God and the outpouring of His Spirit. Rain is a blessing but if you cannot handle the rain, it becomes destructive. There is a great need for the people of God to get our vessels in order to be able to receive the blessing and the outpouring so it won’t be wasted. The wonderful gracious move of God can destroy lives if they are not ready for it – like Ananias and Sapphira. Lord I ask for that grace for us and the fear of God to get ourselves in order, to get our houses in order, to get our churches in order, to turn to You Lord with all our heart, so that in Your move, not one drop is wasted, every bit goes to fill a willing and prepared vessel, I ask You Lord in your great grace. The old unfulfilled mantles will be fulfilled in these days. God kept saying “Purity.” Mixture removed. Things of the world will be removed this year. Donald Trump is the 58th president and he started on January 20, 2017, which totals 58 (1+20+37). So, our president’s name means Grace and it also translates to Noah (Noah means grace to the Hebrew). The Lord is requiring us to change the shift of our focus. The focus is so much on what we hear and what we see going on around us. That is not the issue – that is not as important. The focus needs to agree with what He is doing. We need to connect with what He is doing in this earth. That supersedes everything else. The word for 2019 is purity because the last Charismatic move was perfectly wonderful but the move had a lot of mixture in it. I don’t think the Lord will let the next move be that way. The Lord wants to build the Chapel on Prayer Mountain through people who are not building something for themselves or trying to build themselves up or make a name for themselves. He wants people who are dedicated to Him and living pure lives. People who are gentle and loving and want to show the heart of the Father. God is looking for how much of Christ has been formed in us, if we live fleshly lives, or if we have Christ filled souls. Totally refined gold is transparent. When worship started, the Lord gave me this word and it is for us. During the prayer time a lot was talked about the Lion and the Lion roaring and shouting and things like that. Well the lion has two roars – one to freeze the prey and one when he is taking down the prey and he is letting the world know that he has conquered. But he also has a third voice and this is the voice that the Lord told me to tell you. When a lion has fed and is content he purrs. The Lord wanted me to let you know that He is purring over this group – He is content. We have not yet had the great outpouring of the Spirit that has been promised to us in the latter days, that God would pour out His Spirit on mankind. We pray for this outpouring and ask that it would be pure. One of the attributes of God is that He can see the future. He knew what your hearts were towards Him when you sang these songs and He rejoices over each and every one of you. I felt I was seeing that what should be established on this mountain has to do with the Father coming as His portion for America. I was seeing a double rainbow from here all the way over to the Mount of Olives in Jerusalem. It was like His will being done over here first before He steps His feet onto the Mount of Olives. There is still something in America that has to be finished. Bob Jones said that the second most number of angels stationed in a place were right up there on the top of Prayer Mountain and the first is the Mount of Olives. They are up here for a reason and I think they are probably tired of waiting too. Our focus has to be on God because the nations are getting turbulent and they are going to get more turbulent and they are going to get darker but He is our light. Father I ask you and thank You that our focus turn completely on You only in these days, so we can be “a light” and steadfast in this time. Every time this group prayed for President Trump, this group today was Trump’s valet and we were dressing him in the full armor of God. So continue to pray for him and when you do, think about being his valet and dressing him in the full armor of God.